Dr. Michael Gazdar is here to help you and your family on your journey to wellness. 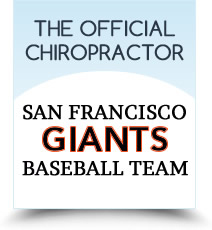 Walnut Creek Chiropractor to the San Francisco Giants Welcomes You! 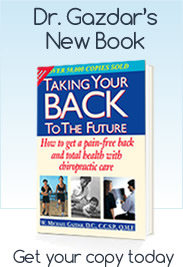 Dr. Gazdar has also been the official chiropractic team physician for the World Series-winning San Francisco Giants since 2008, as well other celebrity and professional athletic clientele, and he is the author of the book, Take Your Back to the Future, which has sold over 50,000 copies. Dr. Gazdar has also had over 25 years of experience in dealing with the sometimes-complicated world of personal injury, including auto accident cases and workers’ compensation. He holds the coveted Qualified Medical Evaluator (Q.M.E.) degree, which facilitates his direct work with attorneys and insurance companies to ensure an optimal legal and medical outcome for his patients. The name of our clinic encompasses what we do. Just as local hero John Muir tried to preserve the environment through the eyes of a naturalist, we try to protect and enhance the workings of the human body through natural laws that seldom fail to impress. We also know how to listen; we’ve always been advocates of the adage, “It’s better to have two ears and just one mouth.” We are fully dedicated to taking care of your needs in a compassionate manner on every visit, in an environment that is warm and supportive, conducive to healing. Could not ask for a better chiropractor! 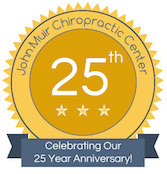 Professional, caring, knowledgeable — a great health partner! Thank you! I feel so much better after visiting your office. Thank you for the great service, very happy, patient for life. Dr. Gazdar is wonderful! He helped my son tremendously, and after only one visit I feel I am on the road to recovery! Dr. Gazdar helped me and now he’s helping my mom! Dr Gazdar is seriously amazing! His adjustments are so gentle and he has really changed my perception of how a chiropractor should be. I returned to Dr. Gazdar, confident that I would be in the best hands possible. Once again he’s started me on the road to good alignment, and I’m confident that, as last time, he’ll bring me all the way back to where I should be. I would highly recommend Dr. Gazdar to anyone who is experiencing any back or neck pain. Dr. Gazdar is so caring and friendly! I love going into see him, I always feel better after! Thank you! Very friendly office staff. Dr. Gazdar does an excellent job. My headache went away! I have complete confidence in Dr. Gazdar to take care of my current situation. Excellent and professional care from Dr. Gazdar. I’m glad Dr. Gazdar was able to see me on short notice. I’m amazed at the speed of my recovery. Love the staff ! They are really nice, Dr. Gazdar was AWESOME! Explains what hes going to do before actually doing it. So glad I found Dr. Gazdar. Finally, relief! It’s only been three appointments, but all have been ON TIME, which is very rare these days. That is very much appreciated. I feel very confident that Dr. Gazdar will be able to solve my back issues. Dr. Gazdar and his staff were extremely professional and caring. He came highly recommended and now I know why. It’s why I have been coming for sooo many years for whatever ailment I may have — it is always “fixed”!